Lead generation & lead management provider of leads based on specific need, not demographics. Qualified. Guaranteed. Worked collavoratively on list culling and messaging. Our target market was so small and the buying time so niche that this was not a fit. Outline clear success metrics and don't pay for the leads and efforts that don't pan out. We used ViaMetric to turn cold leads warm. They hit the masses and turned up interested parties for intro calls. We got a few good hits, but not enough to be happy. * We monitor all ViaMetric reviews to prevent fraudulent reviews and keep review quality high. We do not post reviews by company employees or direct competitors. Validated reviews require the user to submit a screenshot of the product containing their user ID, in order to verify a user is an actual user of the product. Hi there! 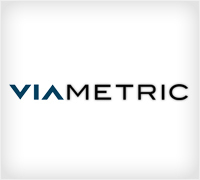 Are you looking to implement a solution like ViaMetric?